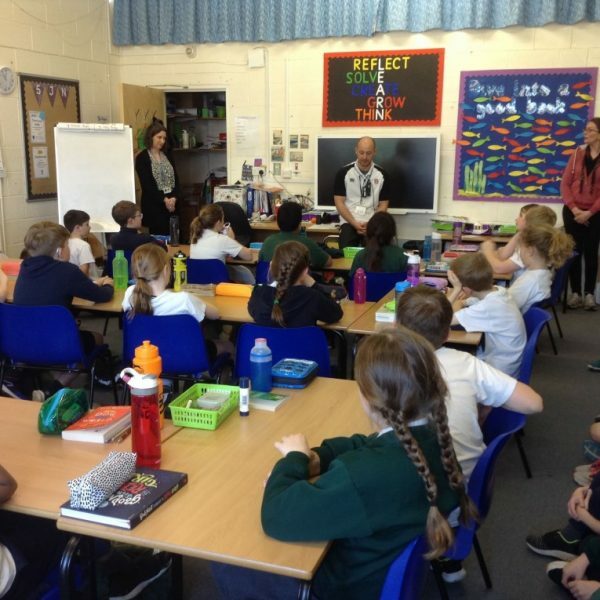 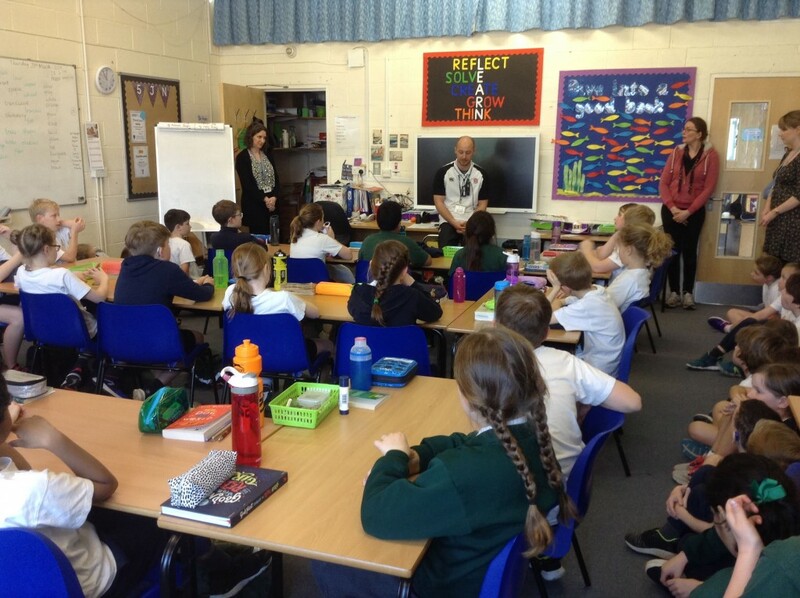 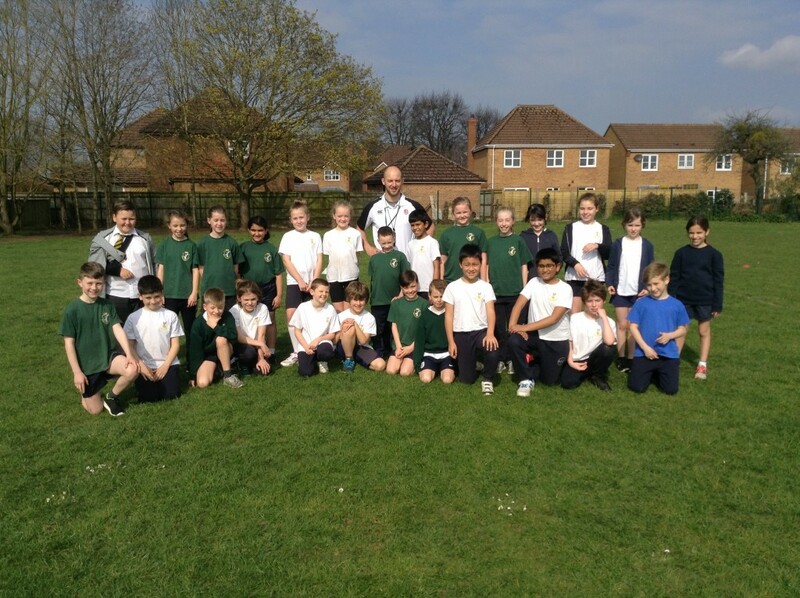 On Thursday Year 5 had an exciting visit from an inspirational sportsman Graham Sage. 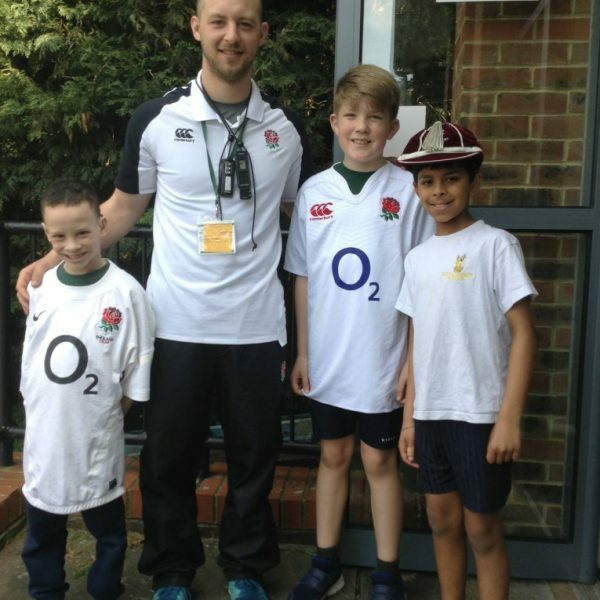 Graham was captain of the England Deaf Rugby Union team for 3 years, scoring on his debut, when they beat Wales. 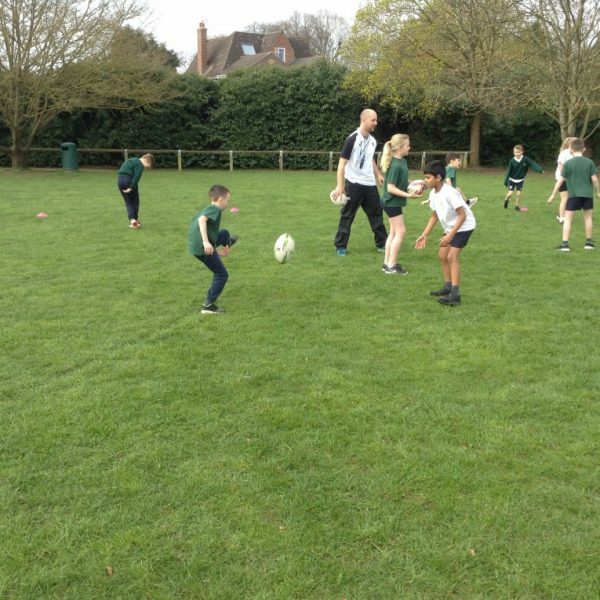 He has now retired from playing International rugby and has taken the role of assistant coach to England. 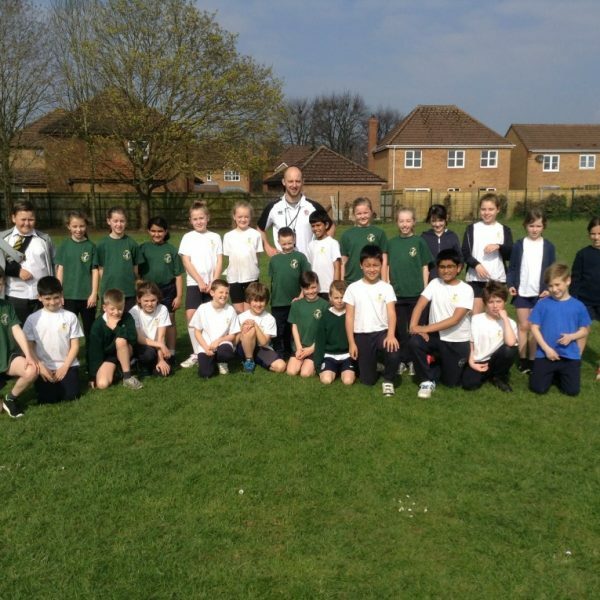 He led a session for both the Year 5 classes during the glorious sunshine of Thursday morning. 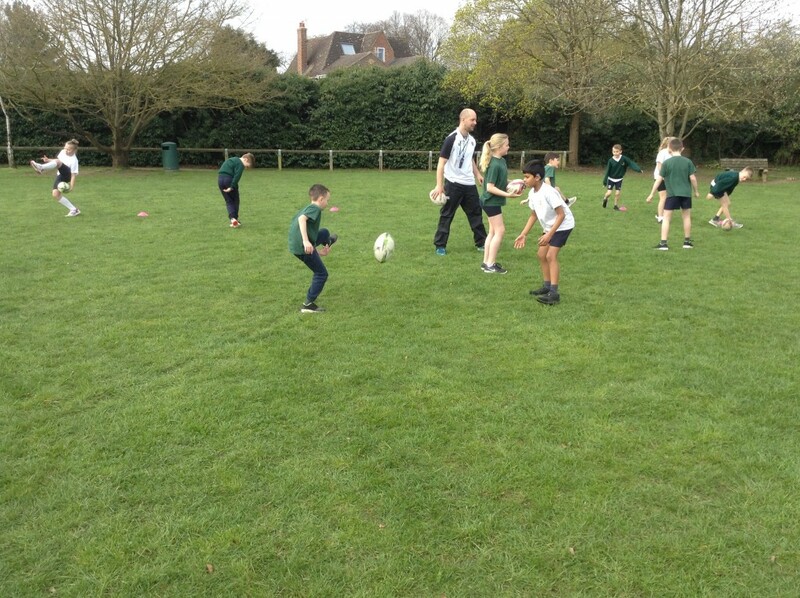 The children enjoyed the rugby and they also had the opportunity to have a Q&A with him at the end. 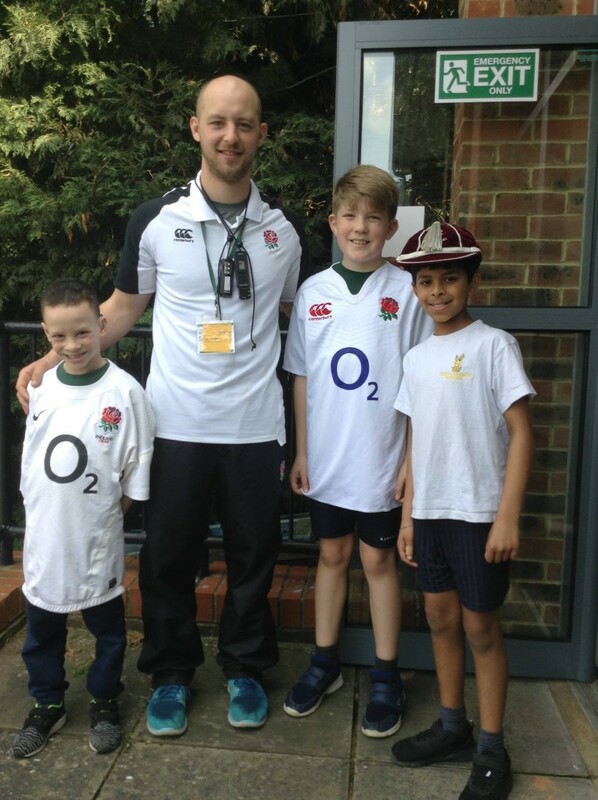 A special treat for Leythan, Devan and Oscar was to wear the England cap and England shirts that Graham had received for his appearances.